For Canfor Taylor, the little things count as much as — maybe more than — the big things when it comes to energy savings. Working with BC Hydro Power Smart, the lumber products company has embarked on a strategy to reduce energy use at its Taylor, B.C., pulp mill. Part of this strategy involved switching to a single-stage refining process. Now the mill uses one 19,000-hp refining motor per line rather than two. Over the past 12 years, the mountain pine-beetle epidemic in B.C. has prompted a series of action plans, action coalitions, task forces, investment strategies and emergency response teams. In the time it has taken to destroy more than half of the province’s commercially valuable pine timber, the beetle has also consumed more than $1-billion in government funds. Now, as the community of Houston, in the province’s northern Interior, grapples with the closing of the town’s lumber mill, the mayor says his community is unprepared for its post-beetle future. 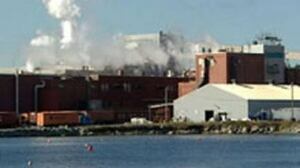 West Fraser Timber Company is blaming the pine beetle for the closure of its Houston sawmill. The company ‘announced a ‘comprehensive Mountain Pine Beetle Plan to address the effects of the mountain pine beetle infestation in the interior of British Columbia. The company states that the infestation has killed vast portions of the interior pine forest, resulting in a continuing deterioration and loss of merchantable timber available to wood products producers in the interior of B.C. West Fraser says the goal of their MPB Plan is to ‘ensure the viability and competitiveness’ of its B.C. operations in response to the lack of available timber supply following the beetle infestation. When faced with the mountain pine beetle epidemic, the provincial government didn’t do enough to ensure the viability of vulnerable mills, according to Skeena-Bulkley Valley MP Nathan Cullen. The NDP representative said mill closures, like the ones announced recently by West Fraser in Houston and Canfor in Quesnel could have been prevented with better forest management practices. “If you look at lot of the evidence leading up to this, one keeps hoping that tenure reform and serious efforts from the provincial government would be coming,” Cullen said. Recent B.C. Interior sawmill closures were anticipated – and these two mills were previously forecast to close – and still more mill closures can be expected as a result of the mountain pine beetle epidemic from International Wood Markets Group Inc.
Lumber production in B.C. held steady in August, but early-year momentum appeared to stall with a modest softening in U.S. housing starts. Estimated production at provincial sawmills reached a seasonally adjusted 1.05 billion board feet in August, marking a 0.3% gain from July and holding steady relative to levels a year ago. While activity remained above 2012 levels, the recent easing narrowed year-to-date gains to 3% from 3.6% in July. The slowdown in production is expected to be temporary. The Nova Scotia government is selling, scrapping and demolishing portions of the old Bowater paper mill outside Liverpool, but the process is running behind schedule after crews uncovered unexpected asbestos. It’s not clear yet whether Nova Scotia will make or lose money as it proceeds to sell off portions of the old newsprint mill. “I’m expecting that it’s going to be close to a wash.
said in the company’s earnings report. TEMPE, AZ – Wood exports lead U.S. manufactured exports in growth, and furniture manufacturing increased in sales and hiring as overall economic activity in manufacturing expanded in October for the fifth consecutive month, say purchasing managers surveyed by the Institute for Supply Management. Furniture exports also grew quickly. “Business continues to improve every month for the past nine months,” said a purchasing manager for a furniture company who was surveyed for the monthly report, the Purchasing Managers Index, or PMI. Mercer International Inc. reported results for the 3Q ended September 30, 2013. Operating EBITDA increased in the 3Q 2013 to Euro 24.8 million from Euro 22.3 million in the 3Q 2012 and Euro 14 million in the 2Q. Current quarter operating EBITDA includes Euro 2.9 million of severance and personnel costs associated with Celgar mill workforce reduction, as the company said in the press release received by Lesprom Network. 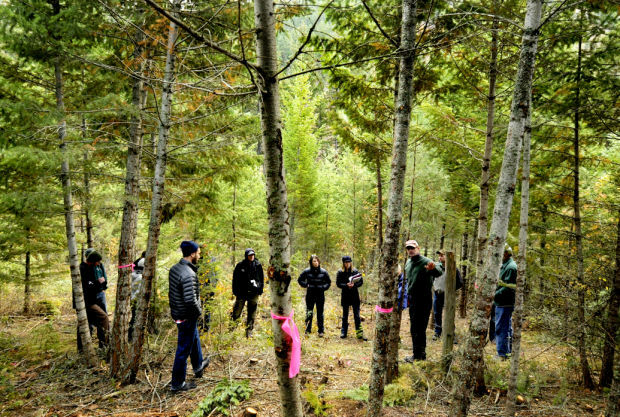 Weyerhaeuser’s long pruning effort managed to see the forest for the trees. A $2.7-billion (U.S.) deal to spin off its home-building division is the latest piece of a seven-year divestiture campaign. The carve-up has refocused the U.S. timber company and left it with a rich valuation. To buy Weyerhaeuser stock now would be going out on a limb. The direction was different a little over a decade ago. 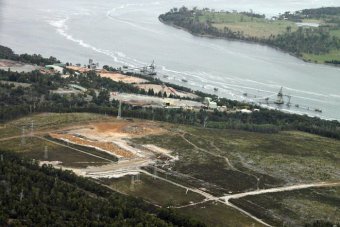 Investors interested in the proposed Tamar Valley pulp mill are being warned its permit may still be declared invalid. The Tasmanian forestry assets of collapsed timber company Gunns were put on the market last week by receivers KordaMentha. They include the mills’ permits, design and project site at Bell Bay. The Tasmanian Conservation Trust began Supreme Court action two years ago, seeking a determination that the State Government permits had lapsed because Gunns had failed to meet a permit condition. Boise Cascade Engineered Wood Products, a business unit of Boise Cascade Company headquartered in Boise, Idaho, recently won the national “Best Dealer Program” award in the first annual national Brand Builder Awards ceremony held in Chicago and sponsored by Hanley Wood. The Brand Builder Awards competition recognizes the most innovative and effective marketing campaigns throughout the residential and commercial design and construction industry. OTTAWA – A massive audit of federal conservation policies paints a picture of neglect and disinterest when it comes to Canada’s natural heritage. 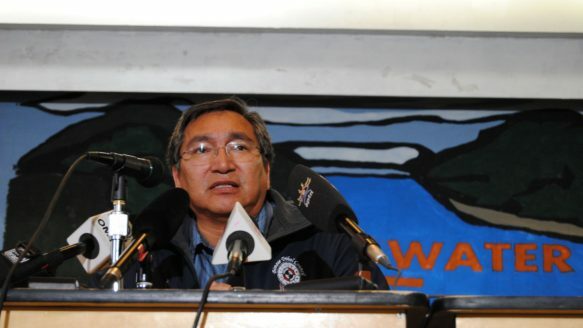 The nine-chapter study by Neil Maxwell, the commissioner of the environment and sustainable development, repeatedly points to a lack of strategies, plans and resources required to maintain or improve everything from basic biodiversity and species at risk to the national parks. “I see a wide gap between the government’s commitments and the results achieved,” Maxwell writes in the preface to the report. An entomologist tells the story of how a little beetle has ecologically and economically altered North America’s forests. Diana Six, Ph.D., is professor of Forest Entomology and Pathology at the University of Montana, and an editor of four scientific journals. Her research focuses on just about every aspect of bark beetles possible from genomics to evolution, from symbiosis with microbes to management. Langley Township mayor Jack Froese says a 25 acre chunk of wilderness had been put on the market by council but it has now had a change of heart. He says, “Council took it off the market. We decided to make it has a municipal natural park, designate it. So now it cannot be sold – it is designated as a muncipal natural park. So out of all of that we have now got just over 50-acres between Trinity Western University land that they purchased through the donation and our designation. Despite tough market conditions in the past few years, Bella Coola’s Community Forest is still trucking. The company, currently logging in Saloompt, also managed to finance the purchase of some new equipment this year, making the operation much more self-sufficient. “One of the most exciting developments this year was the purchase of a mini-tower,” said Hans Granander, General Manager. “With assistance from the Williams Lake and District Credit Union, the company was able to finance the purchase by ‘Got Wood Contracting,’ owned by Wayne Bittner and Brent Cole. Decade-old government documents show that an area being logged near Cathedral Grove on Vancouver Island was identified by Ministry of Environment biologists as critical winter habitat for deer that had to be protected. …But Island Timberlands is permitted to log there because the government took the land out of Tree Farm Licence (TFL) 44 in 2004, putting it under a private land management regime that allows the company to decide what’s best for wildlife. 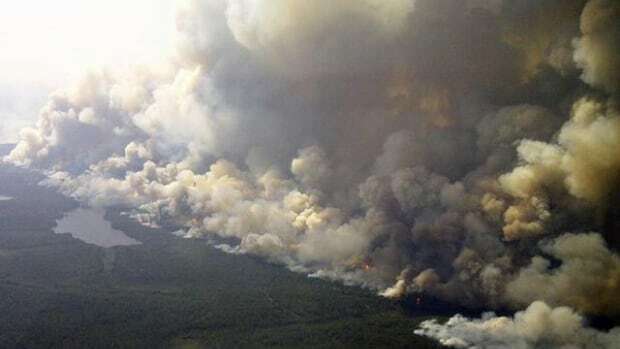 Taxpayers shelled out a lot less for fighting forest fires in northern Ontario this year. Now that the fire season has just ended, the Ministry of Natural Resources reports it spent slightly more than $110 million on firefighting operations — that’s $60 million less than last year. There were fewer than 600 fires, barely one-third last season’s total. That number is about half the yearly average from the last decade. NORTH BAY, Ont. – Bombardier Inc. has made its first U.S. sale of a Bombardier 415 water bomber, an amphibious plane used in Canada and other countries to fight forest fires. Although the first Bombardier 415 was delivered nearly 20 years ago, this is the first to be purchased by a U.S. buyer — a partnership led by Tenax Aerospace LLC, under contract to the U.S. Forest Service. The plane, which is assembled in North Bay, Ont., has a list price of $34.5 million. Premier Kathleen Wynne came to our community in the summer of 2012 and said she wanted to rebuild Ontario’s relationship with Grassy Narrows. She said that this time she wanted to “get it right.” Instead, her officials have continued to unilaterally pursue clearcut logging plans for our homeland. These plans were and continue to be developed without our participation, knowledge and consent. We are frustrated that these processes are conducted entirely outside of the five-year-long process we have undertaken in good faith with Ontario to reach a mutually agreeable resolution to these issues. The College of Forestry and Conservation at the University of Montana will host a lecture by Char Miller, an expert on U.S. environmental history and politics and federal public lands management. Miller will deliver “Cutting Through the Past: Foresters and Conservation at the University of Montana” at 7 p.m. Thursday in the North Underground Lecture Hall. The event is free and open to the public. Miller directs the Environmental Analysis Program at Pomona College and serves as the W.M. Keck Professor of Environmental Analysis. The state of the timber business isn’t quite up there with the weather as a local conversational topic, but the industry’s long and pivotal role as a primary driver of our economy makes it a subject of interest. …Warrenton Fiber/Nygaard Logging, Hampton Affiliates, Westerlund Log Handlers and Weyerhaeuser all are good examples of working in a smart and forward-looking manner to make a living from the land. Diversification and an ability to react quickly to changing market conditions allow them to compete in a truly international market. The Montana Department of Natural Resources and Conservation has accepted a $1.7 million bid from RY Timber for the Palisades Timber Sale project in Carbon County. RY Timber employs 210 workers at sawmills in Townsend and Livingston; another 250 workers are indirectly employed through contracted services. The Montana State Land Board gave unanimous approval to the Palisades Timber Sale at its Sept. 23 meeting. Rotorua, New Zealand – The forest sector across Asia and the Pacific has enormous untapped potential to increase the prosperity of countries, industries and improve the livelihoods of millions. But to achieve that, greater, coordinated efforts are needed by forest managers, governments and the private sector. Leading forestry experts and policy makers from 33 member countries are attending the 25th session of the Asia-Pacific Forestry Commission (APFC) to consider ways and means of making the region’s vast forests more productive and prosperous, while ensuring the sustainability and health of these natural resources. Coffs Harbour MP Andrew Fraser said he stands by comments he made in Parliament about a recent logging accident near Byron Bay. A 59 year old forestry worker was killed by a falling log last month, working on private property at Whian Whian. Mr Fraser said the safety worker was only there because of protesters, who had been clashing with workers at the site. “Whilst ever you have protesters on or about a workplace, you can have accidents happen,” he said. Ottawa, ON – The National Research Council (NRC) today announced a new $55-million initiative called the Industrial Biomaterials program. The program is aimed at helping to create more fuel-efficient vehicles and greener construction materials. …The NRC says Canadian firms will now be able to transform agricultural and forestry by-products to create new materials and reduce the use of petroleum-based polymers. The Forest Service can’t keep up with the rising costs of fighting wildfires in a warming world. As climate change dries out fire-prone forests, the frequency and intensity of forest fires are increasing. Between 1985 and 1999, the federal government never spent more than $1 billion on fire suppression in a single year, according to this National Interagency Fire Center table of firefighting costs since the mid-’80s. But in 2000, the federal bill came in at $1.4 billion, and then it continued to increase, exceeding $1.5 billion five times from 2006 to 2012. As global experts meet at the United Nations Framework Convention on Climate Change COP-19 discussions in Warsaw this month, scientists are calling for substantial investment to build forest-monitoring capacity in tropical developing countries. A recent study by scientists at the Center for International Forestry Research in Indonesia and Wageningen University in the Netherlands, published in Environmental Research Letters, has found that half of the sampled climate change mitigation (REDD+) projects do not have adequate capacity to monitor, report and verify emissions and removals of carbon at their project sites. Lumber: Solid trading activity and strong order files continued to place upward pressure on SPF lumber prices. Wholesalers continued to “work the edges,” purchasing those items in which quicker shipments were available. Announcements late last week regarding two mill closures stirred up the market, even though the production cuts will not occur until next year. After deep discounts allowed producers to sell significant volumes of Southern Pine lumber the week prior, buyers continued to frequent the market, looking to fill needs with low priced volumes.